Sensory impairments have a huge impact on childhood development and academic success. In low and middle income countries (LMICs), early detection services are inaccessible due to prohibitive costs and lack of trained personnel. hearX Group and its products offer a solution to governments which is practical and affordable. By partnering with local organisations to implement decentralised mHealth supported screening programmes which can be facilitated by non-professionals, governments can mitigate hearing and vision difficulties in pre-school children. In a model piloted in Mamelodi – an underserved community (in partnership with Innovation Edge) screeners from the community conducted joint sensory screenings, targeting five to six year olds in early childhood development (ECD) facilities using hearX products hearScreen™ and Peek Acuity. These affordable user-friendly mHealth solutions include data management and quality control and referrals are linked to local governmental clinics for follow-up. ECD staff were empowered to implement classroom interventions. Twenty five per cent and 12% of children screened for hearing and vision impairments respectively, were identified with problems, their parents were notified and they were referred to local clinics for intervention. Through ECD projects like this one, hearX aims to reduce the number of children entering the schooling system with unidentified and untreated sensory impairments. 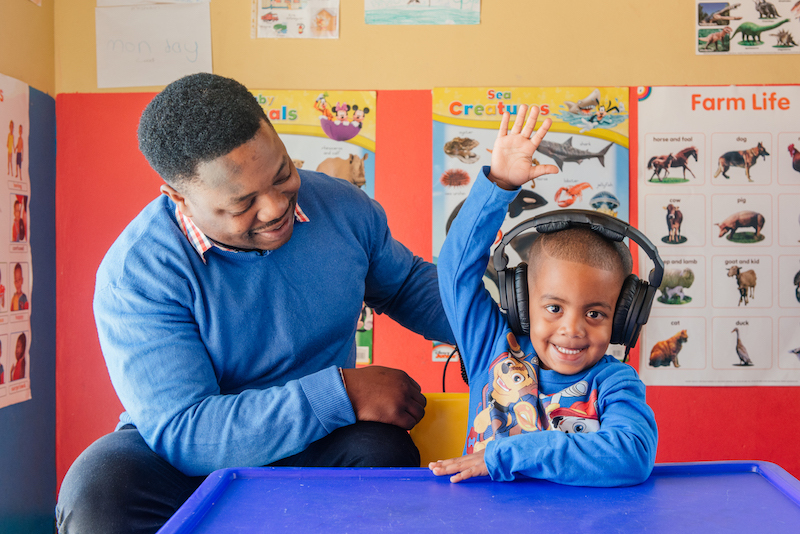 Considering that there are currently no systematic screening programmes to detect childhood hearing loss in preschool children, and that annually 1 million Grade 1 pupils enter the schooling system in South Africa, these projects are essential to assisting teachers to ensure successful levels of education in our country. There is no doubt that detection before school-entry can ensure healthy hearing for healthy learning and academic success. hearX Group’s clinically validated and patented mHealth solutions hearScreen™ and Peek Acuity are world-first products that are changing access and affordability in hearing health and are currently in use across 25 countries. hearScreen™ is a mobile health application for clinically-valid, time-efficient, low-cost screening with pure tone audiometry. Peek Acuity, developed by Peek Vision, offers a visual acuity test on a smartphone. The technologies, designed for use by minimally trained persons, facilitate clinical procedures like audiometry and otoscopy in an easy, straightforward way. Used together with our patient management platform that integrates with a cloud-based system called mHealth Studio, we are able to screen, diagnose, do remote surveillance, report and link patients to their closest follow-up centres.